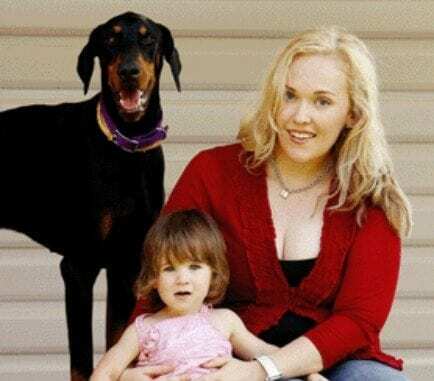 Catherine Svilicic was shocked to find her new rescue dog behaving aggressively towards her 17-month-old baby. 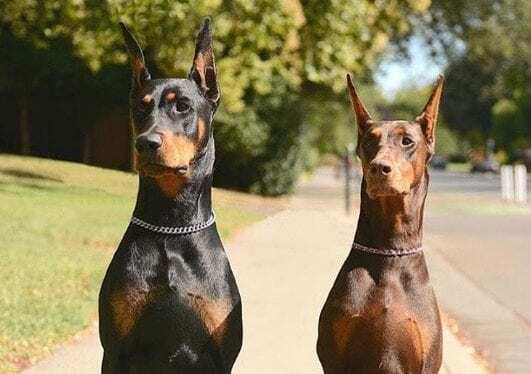 When she ran over to get a closer look, she learned that her normally-docile Doberman had an incredible reason for his strange behaviors. 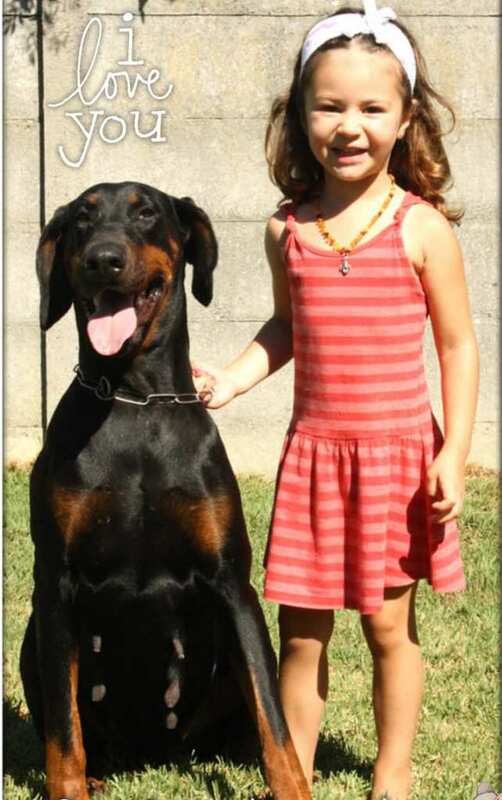 When she first brought her adorable Doberman home, Svilicic never imagined such a kind and loving creature displaying violence. Her dog and her baby were meant to become best friends, but she couldn’t believe her eyes when things didn’t go according to plan. 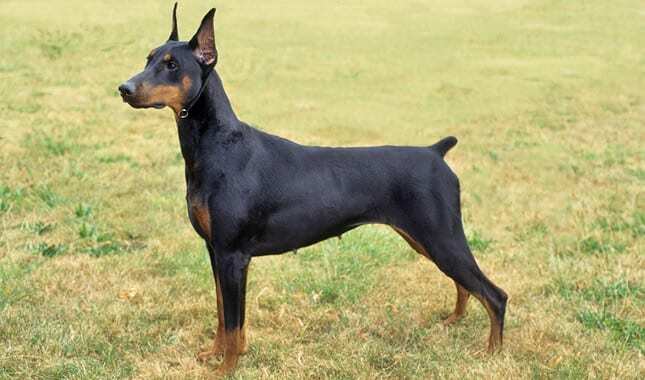 Upon adopting her Doberman, Svilicic was told that he might be a bit unstable as a result of his previous circumstances from which he was rescued. 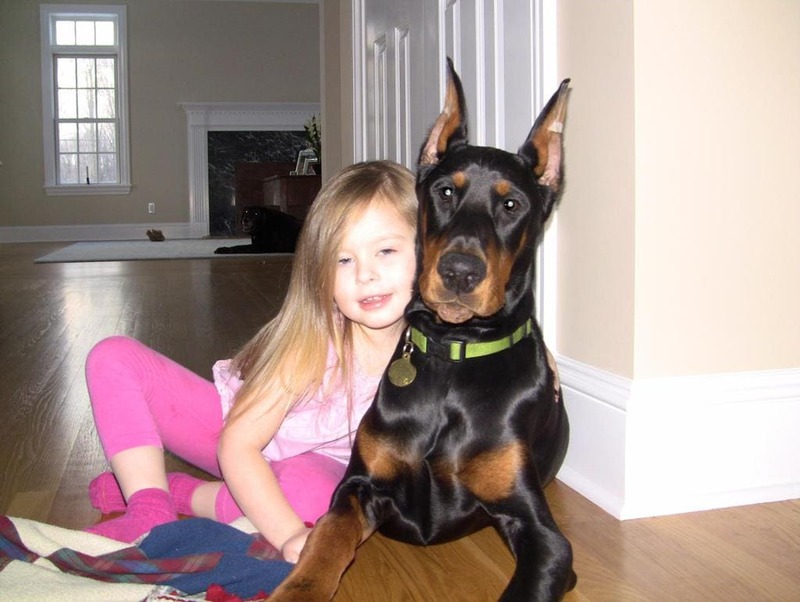 Even though she had a slight doubt in the back of her mind, Svilicic decided to go through with the adoption, thinking that her new dog would want to protect the family rather than cause harm. She chose to trust her new family member, but only time would tell if this was the right decision. Even though most canines tend to behave in a playful manner towards members of their family, nipping at their clothes or licking their faces, certain dog breeds have a different genetic makeup, which has been proven to result in aggressive behaviors if they are raised improperly or under stressful conditions. 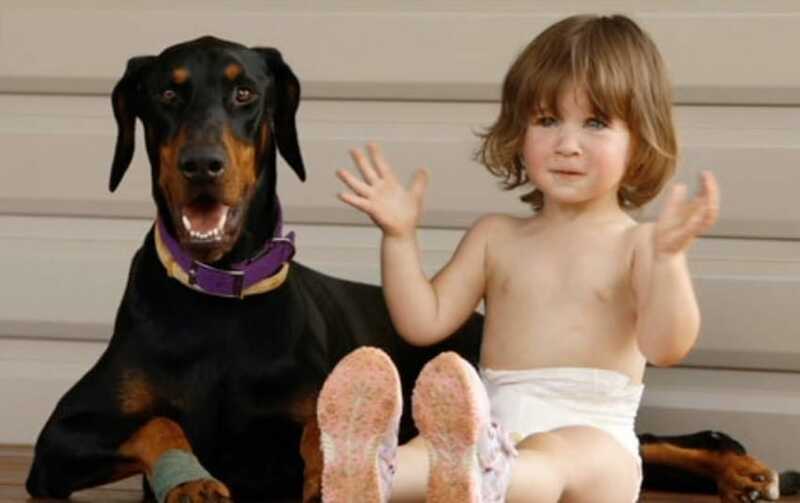 Breeds such as Dobermans, Pitbulls, and Rottweilers have a documented history of violent incidents which have caused many dog owners to fear the idea of bringing them into their homes. Once their family started growing, Catherine Svilicic and her husband knew they wanted to bring a pet into the equation. After baby Charlotte was born, they decided the time had come to get a dog. 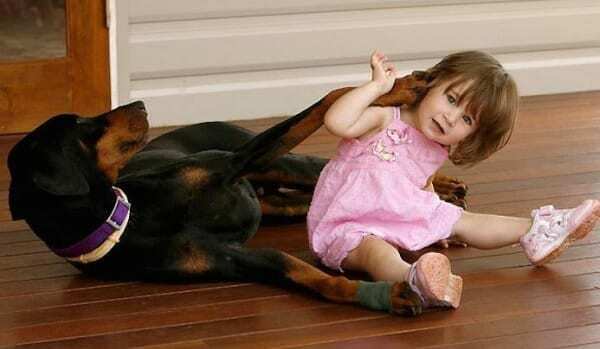 They figured that growing up with a dog would teach their daughter patience, responsibility, and, unconditional love, with an added bonus of having someone there to protect her when her parents weren’t around. However, many were surprised by their interesting choice of dog breed. Feeling fortunate to have such a healthy and happy baby girl in the family, the Svilicics wanted to do a good deed and pay it forward. Rather than going to a dog-breeder and adopting a puppy, they decided they wanted to give an older rescue dog a second chance at a happy life with a loving family. 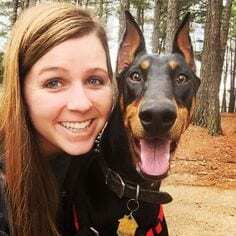 After meeting numerous dogs at the local shelter, Catherine felt a strong connection to a Doberman Pinscher, which she adopted and named Khan. Even though she was told that Khan had a rough past and that his behavior might be unpredictable, Catherine had fallen in love with Khan’s loveable personality. She understood the risks of having such a big, powerful creature around her baby, but she was confident that they would bond quickly. In addition, a week before the Svalicics decided to adopt him, Khan was going to be put down, so Catherine felt it was her duty to save Khan’s life. Catherine and her husband were extra cautious for the first couple of days that Khan was home, making sure that Khan met baby Charlotte under calm circumstances. Everything was going well until the fourth day when things took a turn for the worse. Khan had been playing with Charlotte in the yard like they had done numerous times before. Catherine and her husband were observing the two very closely. Even though they saw nothing but gentle playtime, something didn’t seem right. Under the supervision of Catherine, Khan and Charlotte kept playing in the yard, and as their playtime continued, Catherine became more and more at ease with her newest family member. She was sure that Khan’s recollections of his rough past were now being replaced with memories of getting to know his new sister. All of a sudden, Khan did something that no one saw coming. He picked up baby Charlotte and threw her across the yard. Everyone was in shock. Catherine was well aware of Khan’s potential to cause harm, but she would never have predicted that he would snap the way he did on Charlotte. Catherine was appalled and angry about what she saw from Khan in the yard, and she knew that there had to have been a reason behind his aggressive actions. Because Khan had always been so gentile and sweet with Charlotte, Catherine had no reason to suspect that he was capable of hurting her baby. After watching the horrible events unfold in the yard, Catherine found herself frozen in a state of shock, unable to move her kitchen. It was almost as though she had observed the bizarre event in slow motion. Even though Charlotte was in danger, Catherine couldn’t bring herself to snap out of it. It was as if her worst nightmare was playing out in front of her very own eyes. Though she was praying the ordeal was over, it was only just beginning. Unfortunately, Catherine’s nightmare-ish ordeal continued as baby Charlotte found herself at the mercy of Khan. 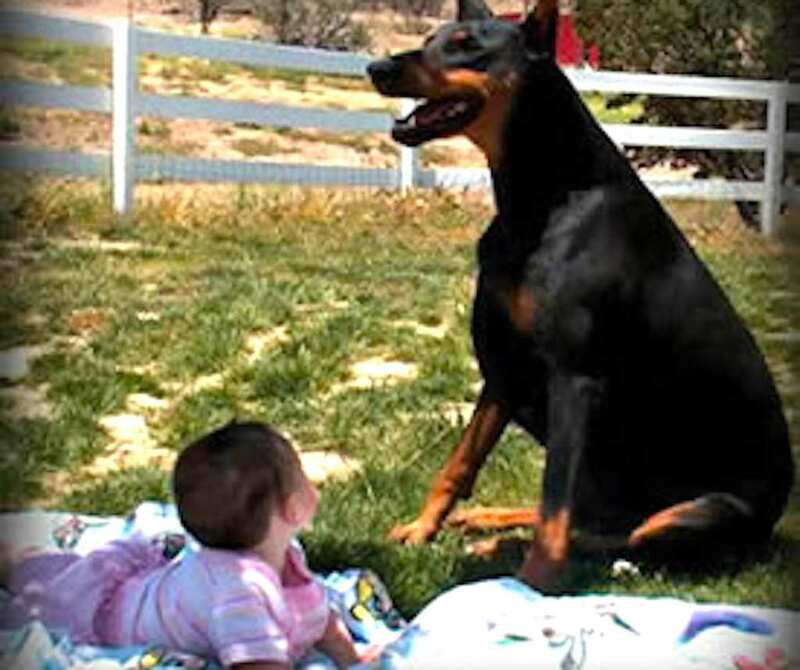 From Catherine’s view, it appeared as though the Doberman was attempting to get something from the baby. He kept tossing her around and pushing her. Strangely enough, Charlotte seemed unresponsive to Khan’s repeated attacks as she continued her playtime like nothing was happening. Suddenly, Khan bit aggressively at Charlotte’s diaper and threw her like she “was a rag doll,” according to Catherine. Surprisingly, Charlotte never cried throughout the entire incident in the yard. She actually remained quite calm through everything. Everyone else who witnessed the situation, however, found themselves in a state of panic. “Had I not seen it with my very own eyes, I’d never have believed it,” said Catherine. She rushed from the kitchen to the yard, where quickly lifted Charlotte into her arms. Meanwhile, Khan fell to the ground and began crying. Nobody had any idea what was going on. Catherine began to scan Charlotte, checking for cuts, scrapes, or bruises inflicted from the encounter with Khan. Luckily, Catherine’s baby fine. However, not everyone escaped the incident unscathed. Khan was lying down on the ground, whimpering, and soon began to appear lifeless. 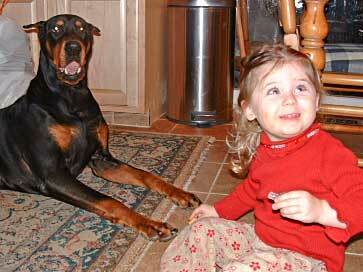 Catherine’s panic quickly shifted from her baby onto her dog. As she looked into Khan’s dying eyes, she realized that her rescue dog was acting to protect Charlotte. Catherine needed to act fast to save Khan. Catherine realized that Khan was a hero. While she initially thought that he was acting to harm her child, Catherine now understood that Khan was protecting Charlotte from something vicious and poisonous. Even though he had only been in the Svilicic family for four days, Khan took responsibility for protecting his new sister, and without hesitation, put his life on the line to save hers. Now it was Catherine’s turn to save his life. She only hoped it wasn’t too late. It was now clear to Catherine that the unknown creature that attacked Khan had a poisonous bite. 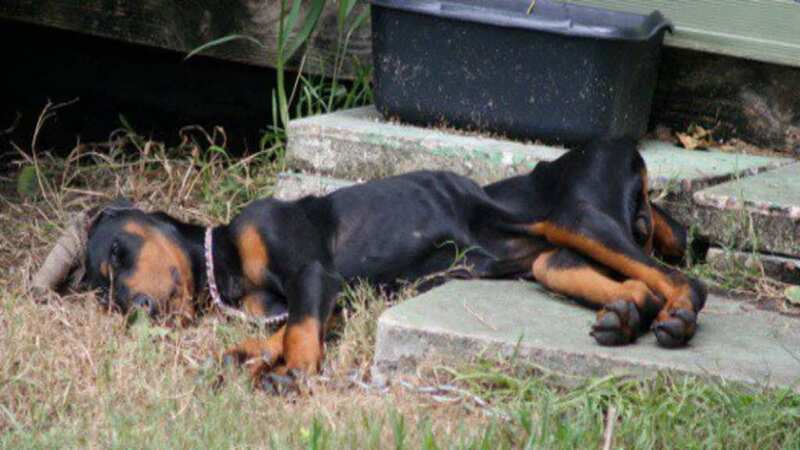 Even though he was a strong Doberman, Khan was now becoming week and slowly going into paralysis. If Catherine was going to bring Khan back to life, time was of the essence, and she needed to get him to an animal hospital as fast as possible. Catherine felt an obligation to do everything she could for the dog that sacrificed everything for her baby. While most of the onlookers were frozen in a state of disbelief, Catherine took action and quickly hoisted the lifeless Doberman into her arms. 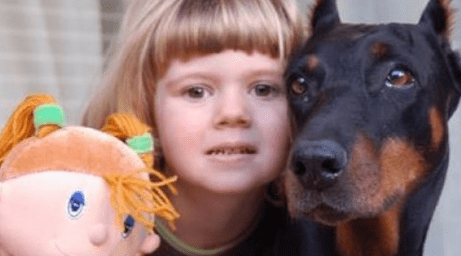 Once Charlotte was brought into the safety of their home, everyone’s focus turned to the heroic Doberman, who was now fighting for his life. Despite seeing him struggling to breathe, with his tongue hangout out of the side of his mouth, and a lifeless look in his eyes, Catherine refused to give up hope on her newest family member. 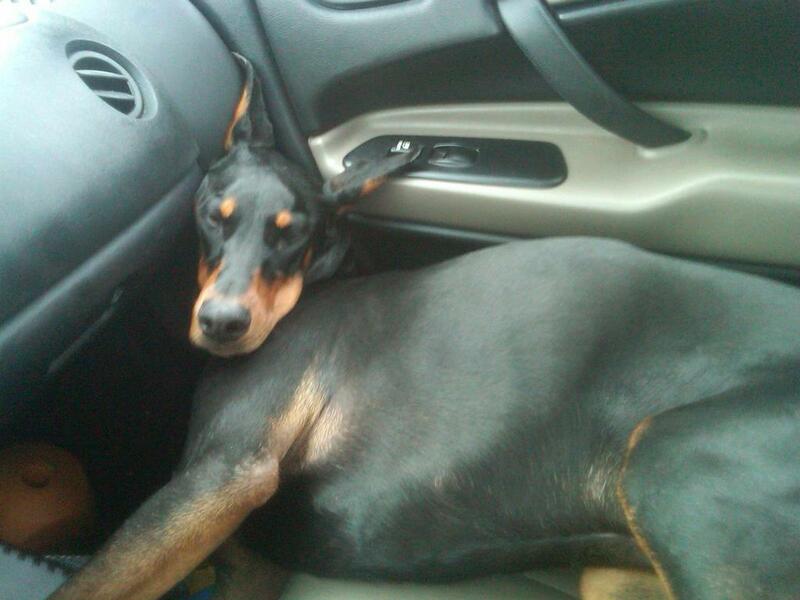 Acting like a superhero, Catherine brought her massive Doberman to the front seat of her car. She then made a beeline for the vet. Khan’s breathing had slowed, and Catherine was beginning to fear for the worst. However, she remained hopeful and optimistic that he would make it. It turns out that if Catherine has waited any longer to seek medical attention, it would have been too late. Khan was hanging by a thread and the next few hours were critical. Once arriving at the vet in record time, Catherine sprinted from her car, with her sick and wounded Doberman in her arms. She knew he needed help fast, so she began yelling for help and anti-venom to resuscitate her dying dog. Sensing the urgency, the vets rushed to Catherine’s side and began assessing Khan’s condition. 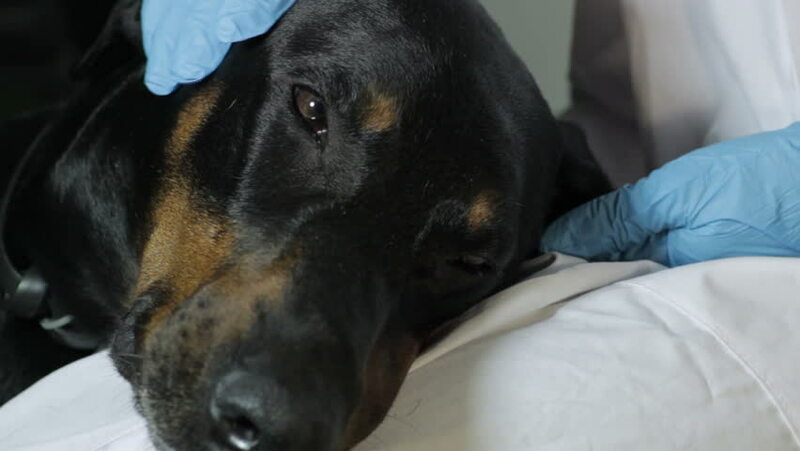 The vets quickly brought him into another room and began the process of getting rid of the toxic substance from his body. Catherine claims that the difficult task of carrying Khan to and from the car was not something she would have normally been capable of. Catherine believes that her ability to lift the heavy dog came as a result of an adrenaline rush. 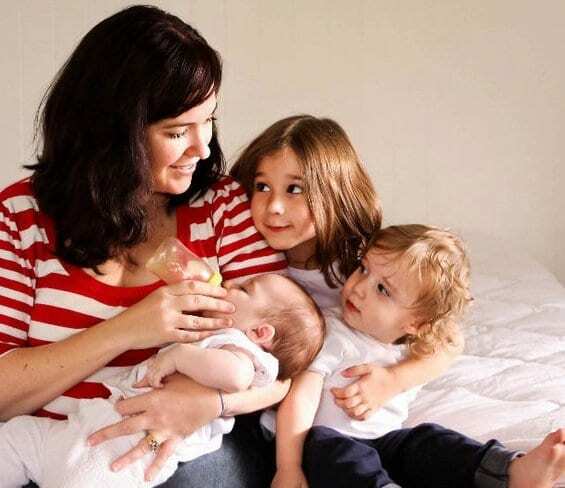 She later said, “If you asked me to carry his weight right now, I don’t think I’d be able to do it.” Catherine’s instincts as a mother ultimately gave her newest family member a fighting chance. When she looked into Khan’s eyes, Catherine understood that Khan had become a member of the family for a reason. In the end, his unconditional love saved baby Charlotte. More than anything, Catherine wanted Khan to make a full recovery. In her mind, it was the least she could do for the angel that saved her baby. 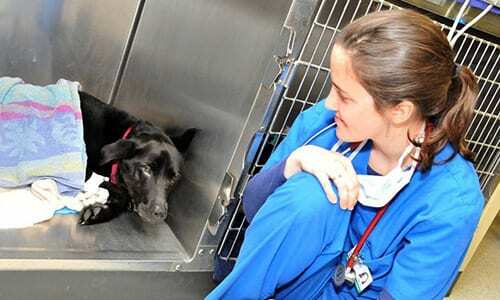 As she watched the vets take him away, Catherine became overwhelmed with uncertainty. Feeling a sense of helplessness, she began to weep and pray. It was difficult for Catherine to wait patiently from the other room while the vets worked tirelessly to save her beloved Khan. Even though she trusted the vets and knew he was in good hands, she couldn’t help but think of the worst-case scenario. As the reality of the situation set it, Catherine felt sick to her stomach. When the vets finally emerged into the waiting room to deliver news, they found Catherine nervously pacing back and forth. When the vet finally greeted Catherine after what had seemed like an eternity, she had so many questions. 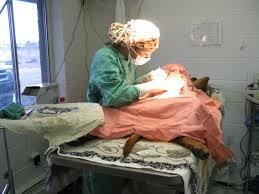 When she asked if Khan would pull through, the vet told her, “We don’t know yet, madam. We did what we could, but now his body has to fight the poison.” He then went on. 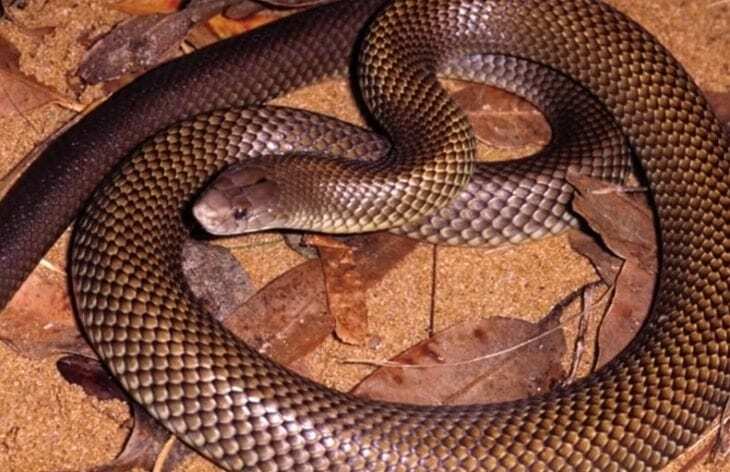 “The anti-venom will certainly help, but we don’t know to what extent. It’s best that you come back tomorrow morning.” Catherine felt her heart sink. Catherine returned home from the vet and delivered the news of uncertainty to her family. She couldn’t help but replay all of the day’s events over and over in her head. Catherine couldn’t sleep at all that night, staying up and questioning whether or not she could have acted faster or done something differently to help Khan. She was so grateful that Charlotte was unharmed, but she felt guilty knowing that Khan was now fighting for his life. Following her restless night, Catherine was eager and nervous to find out the fate of Khan. She got out of bed bright and early, threw on the first clothes she could find, got her kids ready for the day, and rushed to the vet. 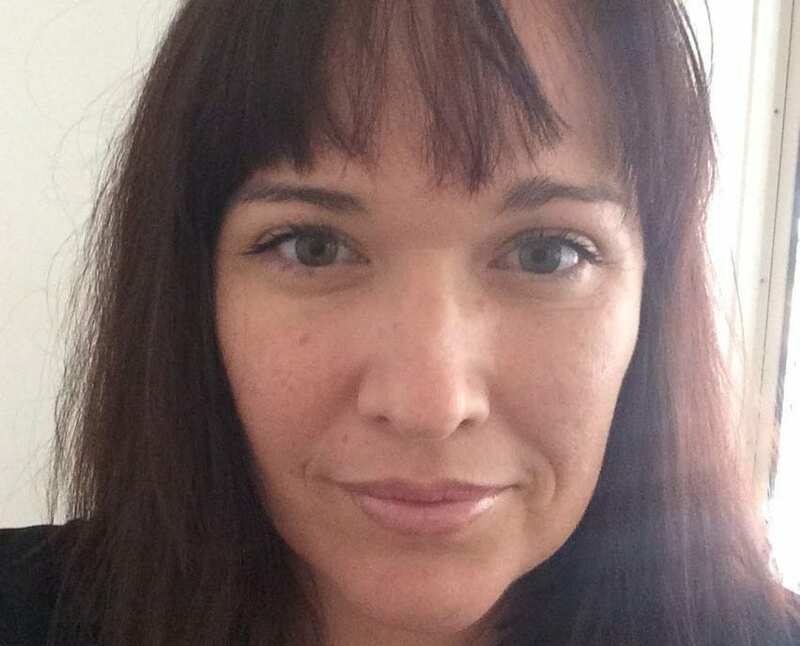 Though she did her best to put on a smile for her kids, Catherine was dealing with some serious anxiety beneath the surface. She just wanted to know that her beloved Khan was going to be okay. As she sat in the waiting room, her nervousness began to get the best of her. Her mind began to wander as she went over each and every possible situation in her head, whether devastating or encouraging. She had been a wreck ever since the incident in the yard. Even though it had been less than 24 hours, it had felt like an eternity had gone by. Catherine was finally ready to discover the fate of the dog that saved her daughter. What Almost Killed the Baby? 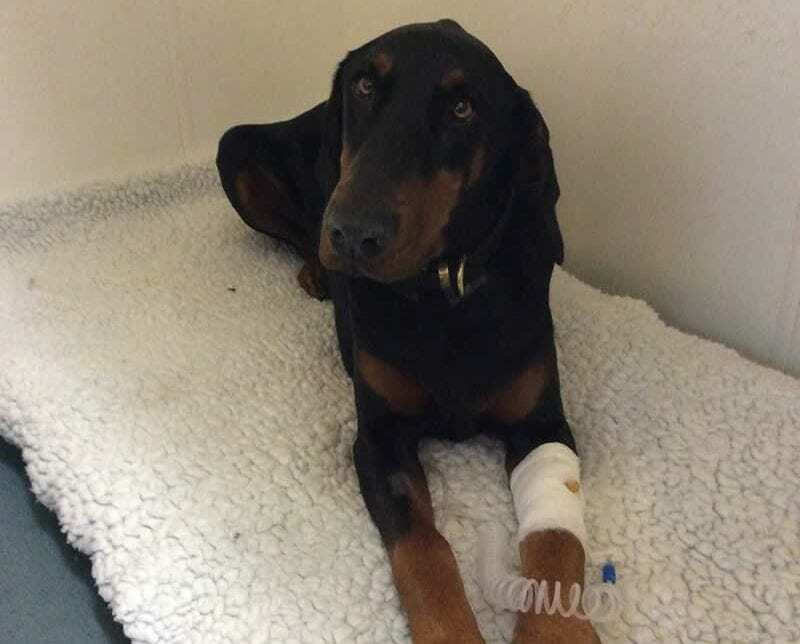 Before letting Catherine know whether or not her Doberman would beat the odds, the vet revealed to her what exactly it was that bit Khan, causing him so much pain. The creature which had inflicted so much damage had been living in Catherine’s backyard without anyone even realizing. If it hadn’t been for Khan, one of her children surely would have become its next victim. The effect of the poison a child much smaller than Khan was hard to fathom. When Khan saw the creature threatening his sister, animal instincts kicked in, and he knew he needed to get Charlotte to safety. 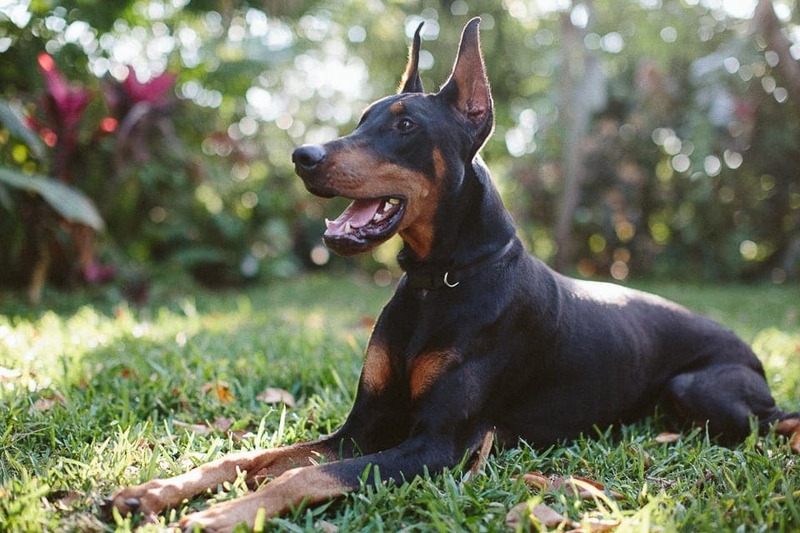 Even though Dobermans may have a reputation as unpredictable attack dogs, it’s relatively unknown that they’re also willing to fight to the death if it means protecting owners or family members. In this case, Khan did everything in his power to save baby Charlotte. It was his way of repaying the Svilicic family for giving him a new life. Khan’s entire family was worried sick about whether or not their heroic dog would endure the powerful venom. The only thing they wanted was for him to come home and return to their loving arms. Unfortunately, the odds were stacked up against him, and his future was uncertain. Khan truly deserved to come out on top after acting so bravely and saving baby Charlotte. The thought that Charlotte could have been on the receiving end was terrifying to her family. The hours that Khan’s family spent not knowing what his fate would be felt like years. Even though he had only been with the Svilicic family for four days, his loyalty and dedication had won over their trust forever. The Svilicics saw Khan’s true character, and they wanted to make sure he would stick around. At this point, however, it was a waiting game. 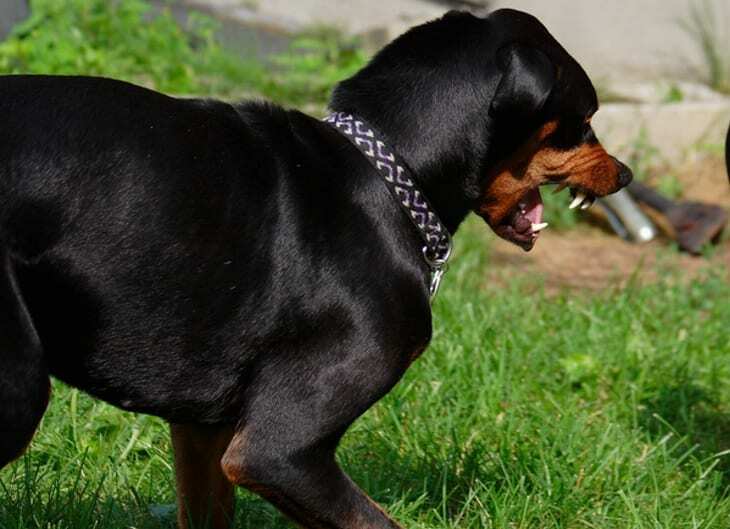 The vet administered a shot of anti-venom in an attempt to save the poor Doberman. When Khan was first adopted from the shelter, Catherine was informed that he had an abusive past and that he was looking for a fresh start with a loving family. Khan found what he had been looking for with the Svilicic family. Unfortunately, after four days with his dream family, his entire world came crashing down. Catherine and her kids wanted nothing more than for Khan to make a full recovery and come home, where they could give him the unconditional love he deserved. 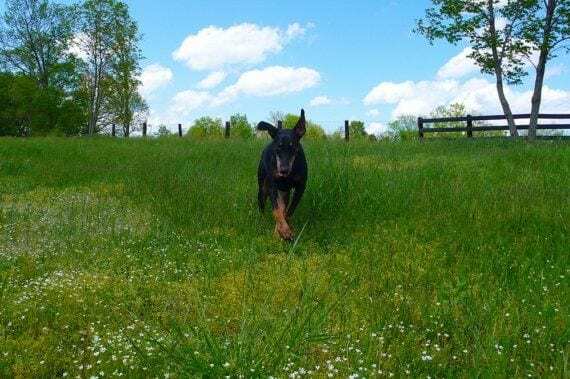 Before the Svilicics brought Khan into their home, the Doberman had been through unimaginable circumstances and showed clear signs of abuse. 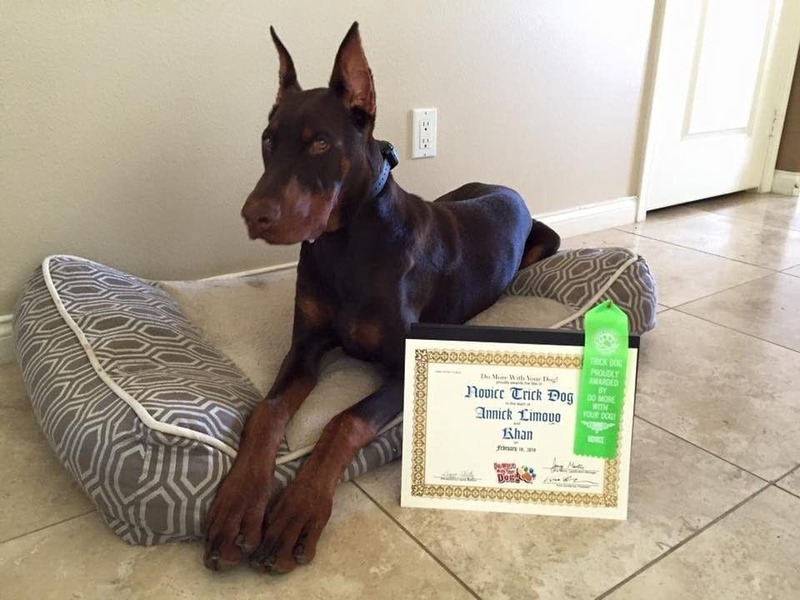 Catherine stated that, “When Kerry Kinder (Doberinling Boarding Kennels owner) rescued him, he was starving, had broken ribs and had been beaten – he was an abused dog.” She added, “It was borderline on whether or not he should be put down because he was in such a bad way.” The Svilicics just wanted Khan to recover and live out the life he deserved. Knowing Khan’s rough background allowed her to better understand why he reacted the way he did when Charlotte was in a dangerous situation. Catherine stated, “He was starving for attention and wanted to be loved because he came from an abused home, so I’m not surprised about what he has done at his new home.” Catherine wanted to do everything she could to help Khan make a full recovery, so she decided to speak to the vet about what more she could do. Catherine called up the vet’s office, fearing the worst. Even though she was terrified of potentially bad news, she needed to know what Khan’s chances of survival were going to be. 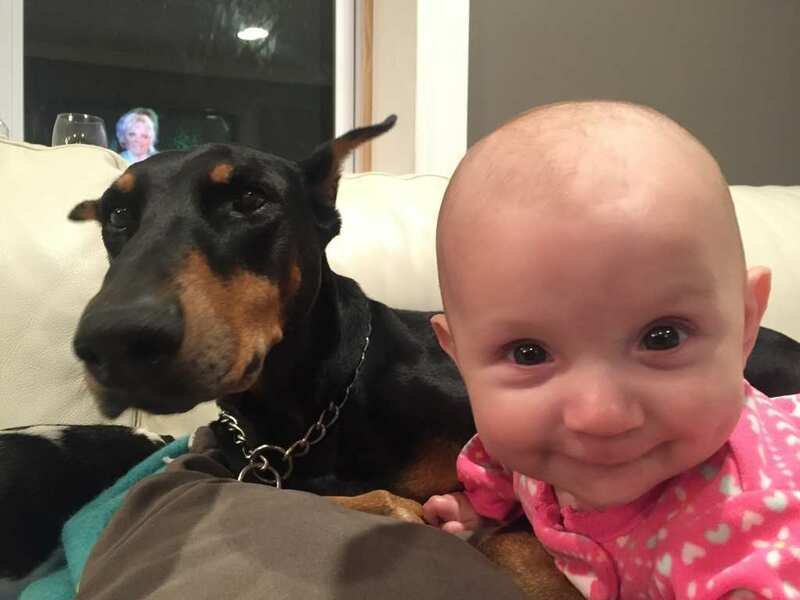 The loyal Doberman had put himself in harm’s way in order to protect the most innocent and defenseless family member, baby Charlotte, even though he had only known her for four days. The vet told Catherine that Khan had been sick during the night. Her heart sank. Catherine stayed on the phone with the vet, even though she was practically in tears. The vet then kept her on the line as he went to speak with the team working on Khan. Catherine was praying for even the slightest bit of hope. The vet returned to the phone and delivered exciting news- Khan was slowly gaining back strength! He was still pretty weak, but the vets had managed to remove the venom. There was still more news to come. The only thing Catherine needed to know now was whether or not she’d be getting back the dog that she fell in love with at the shelter. Thankfully, the vet notified Catherine that Khan would make a full recovery. 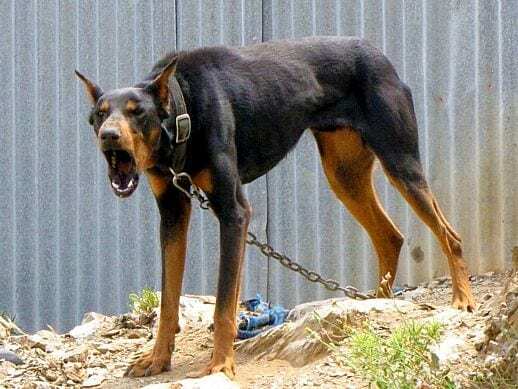 A reptile expert noted that the reason why Khan managed to survive the snake bite was that the snake wasn’t able to hold its grip on the Doberman for long. Khan was lucky the snake was only able to nip him. At the vet’s office, Catherine was finally getting all the answers that she had so desperately needed for the past day and a half. At last, she was informed about Khan’s injury and recovery. Khan was in pretty bad shape when he got to the vet, but he had been through the worst of it and was now on his way to making a complete recovery. Even the vets were impressed with his resiliency. His family was eager for their hero to return home. 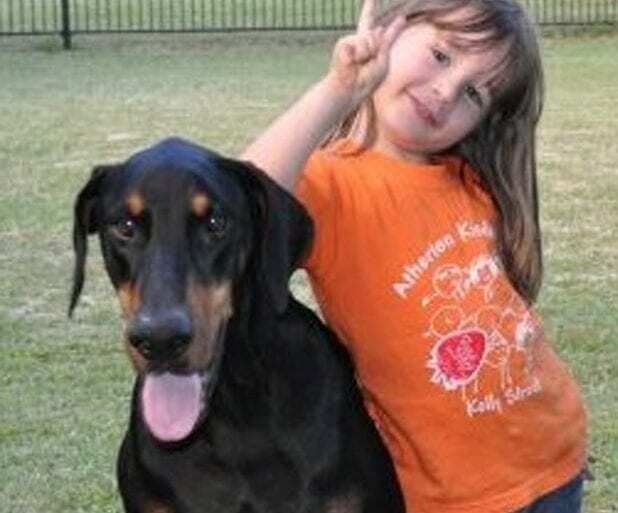 At last, the family was reunited with their heroic and brave Doberman. Catherine made a pact with Khan to never doubt his intentions again and to always protect him the same way that he had protected baby Charlotte on that dreadful afternoon. The family was grateful that they were given a second chance to bond with their lovable rescue dog. Khan was thrilled as well that he now had such a loving and caring family waiting for him at home. After investigating, Catherine and her family learned that Khan had been bitten by a snake, but not just any snake. The creature which tried to attack baby Charlotte was a Mulga, one of Australia’s most venomous, aggressive, and dangerous reptiles. Thinking back, Catherine realized that the snake must have been slithering through the grass at high speed in the direction of her baby when Khan noticed and jumped into action to save her life. He was truly a hero. 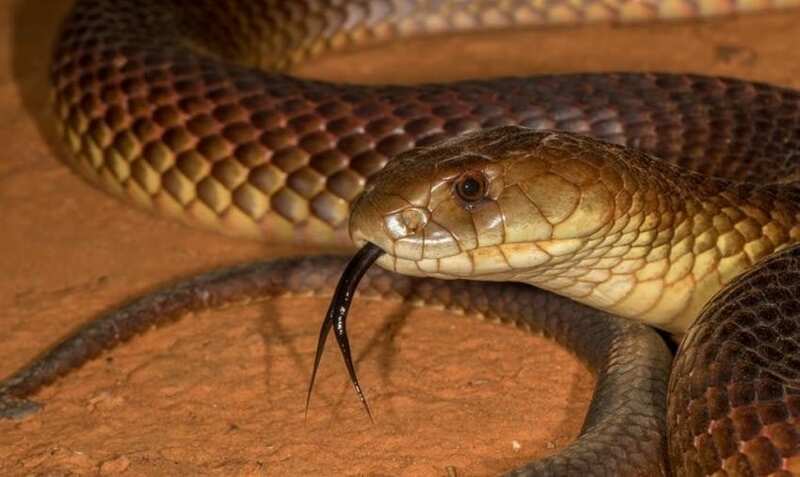 Even though Australia is known for its multitude of dangerous animals, the Mulga is amongst the most deadly. The poisonous snake possesses venom so strong that it can easily kill a fully grown human within a matter of just minutes. If the snake had reached Charlotte, she would have been completely helpless. 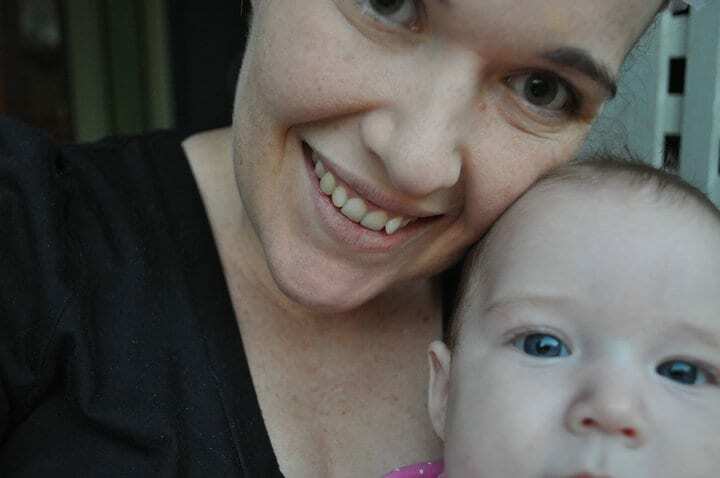 As a small and easy target, even just a brief bite from the Mulga would have been devastating to baby Charlotte. Luckily, she had a guardian angel by her side.